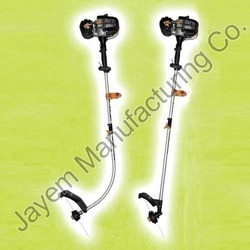 Leveraging on our in depth domain knowledge we are manufacturing and supplying premium array of Bar Bending Machine. These are available in different models and have oil bathed gear boxes for smooth and maintenance free operations. It offers gears that are made from hard alloys and have a long functional life. These are designed for push-button bending and offer outstanding strength with automatic angle selection facility. These machines can be availed at reasonable prices. Note: Price start range from 79999 to 1,50,000. 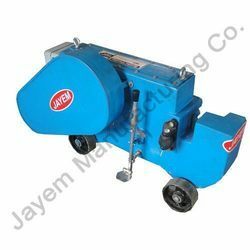 Backed by our vast industry experience we are offering a broad gamut of Bar Cutting Machines such as Medium Duty Bar Cutting Machine that facilitates cutting through foot-pedal as well as handle by eight edged interchangeable blades of rectangular shape. It has a large throat and offers more efficient cutting in light and medium sizes of diameters with cutting edges. It is mounted on 4 wheels and can be moved effortlessly even by a single person. We are reckoned as leading manufacturers and suppliers of a broad collection of Automatic Brick & Block Making Plants such as Automatic Brick & Block Making Plants that is an advanced and more stable machine with automatic Vibro-hydraulic block making facility as well as self locking properties. It offers pallet stacker. 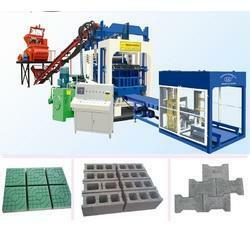 It is ideal for making blocks, porous bricks, solid bricks, and paving blocks. We use the finest grades of raw material components to fabricate this machine under rigid norms of quality and offer to our valued customers at industry leading prices. We are engaged in offering complete solutions in Concrete Batching Plants & Machines including Fixed TypeConcrete Batching Plant that is designed for easy operation and has high efficiency with cost effectiveness. We use the best grades of raw material components to manufacture these in our state of the art facilities and maintain stringent standards of quality in accordance with set norms of industry. We have modern fabrication facilities that are well equipped with latest machines. 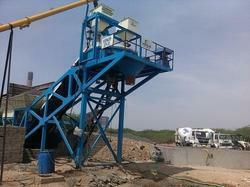 Our clients are also offered In-Line Type, Auto-Mobile Batching Plant, and Mini Mobile Batching Machine at affordable prices. 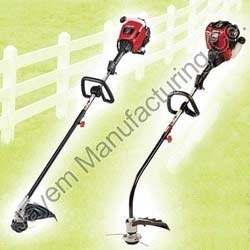 Want to operate your Ride On Lawn Mowers similar to your car? 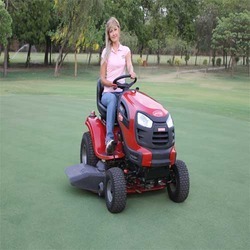 With a foot controlled automatic transmission you can do just that, with great cutting performance, and the extras like a medium back auto slide adjustable seat and this red tractor will make maintaining your yard a breeze. 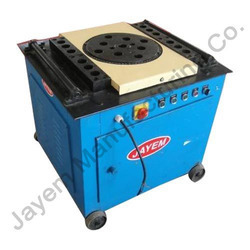 Effective Cutting Area: 17 1/2"
Our company, Jayem Manufacturing Company established as one of the manufacturer and supplier of a wide range of products. 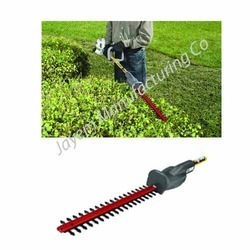 Our comprehensive range of products includes Ride On Lawn Mowers, Accessories for Ride On Lawn Mowers, String Trimmer, Hedge Trimmer, Gas Blower, Tree Cutter, Aerator, Snow Thrower etc. Our products are manufactured in our advanced manufactured unit according to the latest technologies. We are supported by a team of expert professionals to manufacture and check the quality of the products. They are available in various specifications and can be customized as per the requirements of the clients. We offer unmatched range of products to our clients and thus gained appreciation from our clients.